The license area is located approximately over 250 km north east of Freetown in the Kasunko Chiefdom in the Koinadugu District, Northern Province of Sierra Leone. The project consists of exploration mineral permits No. EL 04/2013 with a total area of 124.03 km 2 and lies at the west of the northern Sula Mountains and east of the Loko Hills. Prominent geographical features in the area forms central parts of Mongo Basin with its associated drainage patterns that runs through the entire license area. The varying number of sizes and shapes of the drainage systems are governed by prominent landscape elevations and incised valleys. The area can be accessed either by driving to Makeni and heading north or by driving to Kabala and by heading south. 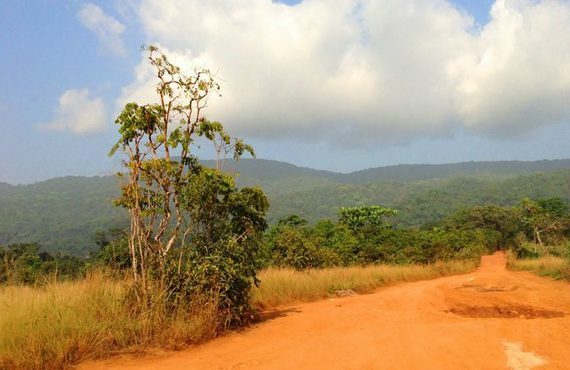 Accessing the license area is via network of poor trunk or feeder roads from the connecting villages and towns in the chiefdoms and from the district headquarter town of Kabala. Accessibility is only possible by use of four-wheel drive vehicles particularly in the rainy season. There is limited infrastructure across the license area and a relatively small population. Local cell phone network is intermittent and can be obtained on hill tops but generally absent in valleys. MAGNUM LINK (SL) LIMITED acquired Remote Sensing Data (RSD) and were interpreted by the Ukrainian State Geological Research Institute (UkrSGRI) and from that analysis, there has being a number of identifiable targets in an area known to host economic mineralization. The company’s aim is to identify and explore new mineral discoveries targeting gold, diamond and other strategic minerals that will significantly upgrade the value of the project, with the ultimate goal being the mining of identifiable resources. The primary target commodities are gold and other base metals. The company’s initial focus has since not changed as stipulated in the work programme during time of application. With encouraging results from the interpreted RSD, the company now intends to focus on the second phase of its work program to verify the interpreted RSD anomalies whilst mobilizing additional geological field equipment and the setting up of exploration camp facilities infrastructures. These strategies are believed to be paramount in securing the company’s future, with projects having the potential to deliver a viable gold and/or base minerals mining operation, that will generate an early cash flow so that the company may continue to acquire and develop worthwhile projects for its shareholders and other stakeholders. We are a registered company with a valid license to operate exploration, mining and refining operations. We discover minerals and exploitation opportunities in Sierra Leone and internationally with the goal of allowing investors more secure and efficient way to trade precious minerals. We are creating a trading platform for precious metals and gems, but we are also developing a growing business of mining and refining that will be perpetually issuing tokens with real and not imaginary value!